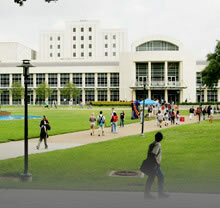 The University of Houston comprises 14 academic colleges, the Hobby School of Public Affairs, and an interdisciplinary Honors College. Each major and graduate program “lives” in one of the academic colleges or schools. The unit that houses your program will become your academic home. The Honors College, in contrast, provides special courses and opportunities for talented undergraduate students of all majors and departments.